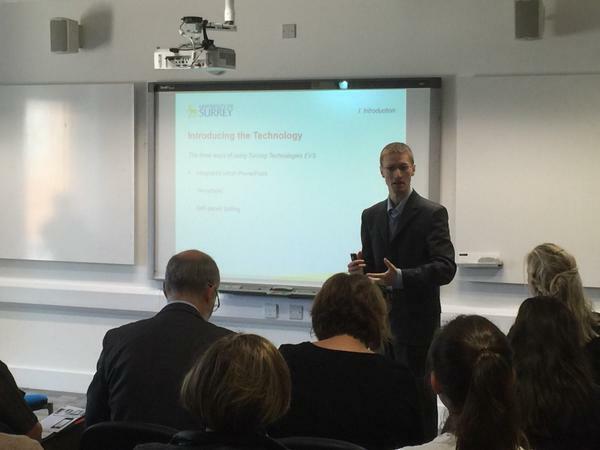 Dr Christopher Wiley was the invited external speaker at a Turning Technologies ‘Lunch and Learn’ event on electronic voting systems held in the Jubilee Building at the University of Sussex on 9 September 2015. 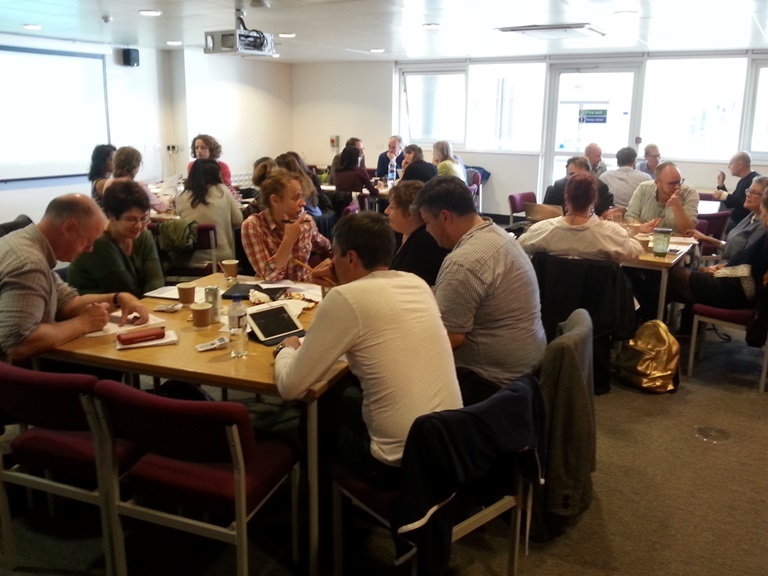 During his 50-minute workshop, Dr Wiley explored the issue of engaging students with electronic voting systems using both bespoke handsets and the students’ own mobile devices, referring to a series of worked examples from his own teaching in order to demonstrate some of the more creative and advanced ways of deploying response technology. Dr Wiley’s presentation, which was attended by an audience of 25 academic staff drawn primarily from the School of Business, Management, and Economics, was followed by a separate talk by René Moolenaar from the University of Sussex. The programme for the complete session is available here. This event marks the sixth UK university at which Dr Wiley has delivered workshops on electronic voting systems since 2014 (the others being Birmingham, Southampton Solent, Durham, Hull, and Surrey).